The ferry docks in the heart of downtown Friday Harbor, making this the perfect place to visit on foot. Many shops, restaurants and other activities are nestled in this protected bay. Why should I visit Friday Harbor? Friday Harbor is a vibrant small town. As the historic county seat it offers big city comforts with island flair. The many restaurants supply everything from locally sourced fine dining to pub fare and Thai food. It’s a totally scenic and walk-able downtown, which still offers plenty of parking. The attractive architecture is some of the oldest and grandest in the islands. Friday Harbor is also a great place to use as a base camp from which to explore San Juan Island, or any of the other islands. Friday Harbor is situated on the northeast side of San Juan Island. It can be reached by water or air. Ferries travel on a daily schedule between all the islands and the main Anacortes terminal. Small passenger planes also fly between the islands and several mainland towns, including Seattle. What sort of Services and Amenities does Friday Harbor offer? 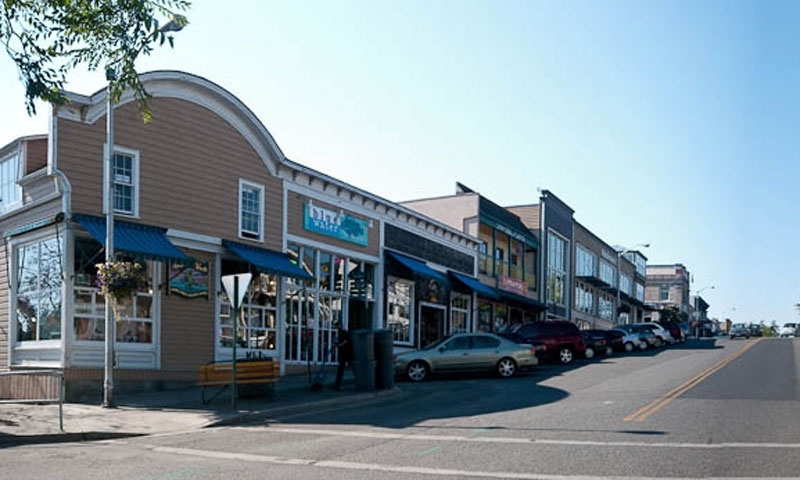 Friday harbor is a dense and active small town. Shopping, seeing a movie, catching a play at the community theater are all urban activities available here. If you want to get out into the country you can also rent a bike, moped or car from here. Lodging options include a few well appointed mid sized hotels, and several B&Bs. What can I do or see in Friday Harbor? Browsing the many eclectic boutiques and art galleries. Getting a firsthand look at the amazing marine life though a whale watching tour. A visit to the informative and interactive Whale Museum. The exciting opportunity to see the Puget Sound though a kayak tour.